It’s a very rare occurrence when you get the chance to view all of Egypt’s wonder in only 7 days Egypt tour, sail on Egypt’s fountain of youth” The Nile” on board our deluxe Nile cruise, feel its majestic life force and uncover the glorious history in Cairo, Luxor, Alexandria, and Aswan through the phenomenal temples, tombs, and castles. -Your Tour Will Take Through Cairo, Alexandria, Aswan, Kom Ombo, Edfu, and Luxor. -Your Pick Up and Drop off Point Will be in Cairo Airport. -Your Stay Will be for Seven Days and Six Nights. -This Tour is Available All Year Long. At the moment of your arrival in Egypt, our employee will greet at the entrance gate and help you finalize your passport formalities and luggage identification. Then you will be transported by an A.C car to your 5* hotel, and at the evening time, you will be accompanied by your tour guide to enjoy a dinner cruise where you will watch a stunning belly dancing show with a folklore band with a beautiful Tanoura spin, then return to your hotel for the overnight. Morning time have your breakfast, and start your quest in Cairo by casting your eyes on Giza Pyramids complex which holds the miraculous great pyramid that is considered one of the world’s seven wonders as it’s the largest and oldest construction in human history and dates back to 2400 B.C. then move your eyes to the protector of the complex the Great Sphinx which the largest and oldest statue in the world. Have your lunch, then move to explore the magical Egyptian Museum that carries more than 120.000 majestic rare artifacts from Pharaonic, Greek era that dates back to more than 3.500 years, it’s also famous for being the home to Tutankhamen magnificent collection of treasures. At the end of the day, return to your hotel for the overnight. Third Day : Taking a Tour in Alexandria - Return Back to Hotel. Have your breakfast at the early morning, then relocate to the gem of the Mediterranean Alexandria which holds the fascinating catacombs, a "Roman burial" site that holds some intense roman decorations in the tomb and the "Caracalla hall". Continue your tour by witnessing the glorious Pompey’s Pillar and the beautiful Citadel of Qaitbay that was built in 1477 A.D on the sea coast to become a powerful fortress for many years to come. Enjoy your lunch at a seafood restaurant. Then end your tour in Alexandria with a visit to Alexandria Library, one of the world’s greatest libraries that displays a great collection of rare books, then return to your hotel in Cairo by an A.C car. Have your breakfast at the early morning, then catch your flight to gorgeous city of Aswan that contain The High Dam that was constructed in the mid 60’s and had a massive positive effect on the economy and culture of Egypt and miss the glorious sights of the Unfinished Obelisk, ordered by Queen Hatshepsut and the largest obelisk ever created. 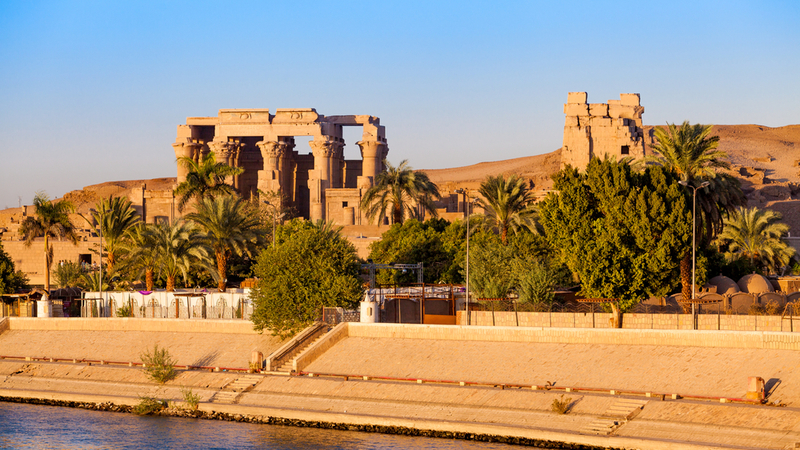 Have your lunch, then cast your eyes on the stunning temple of Philae which was built to honor Isis, Osiris, and Hathor, the temple became a part of UNESCO world’s heritage site in 1979. Then the time came for you to check in your deluxe Nile Cruise and overnight. Begin your morning by paying a visit to Kom Ombo temple which was constructed in (The Ptolemaic dynasty) (180-80 BC) with an unusual double design to honor many gods like Sobek, Khonsu, Horus and Hathor. After your lunch, you will continue your 7 days Egypt tour by visiting Horus’s personal temple Edfu where you will able to know all about Osiris myth. Continue sail until you reach Luxor. Morning time, enjoy the breakfast, then move on to your last stop of your Cairo, Nile cruise & Alexandria tour where you will a true piece of heaven Valley Of the kings the home to some of the most famous pharaohs in ancient Egypt such as (Ramesses II) and Tutankhamen who their tombs have immensely beautiful decorations that are still in very good shape. Continue your 7 days Egypt tour until you reach Hatshepsut temple, one of the finest examples of ancient Egyptian classic architecture that holds Hatshepsut's tomb and is entirely dedicated to Amun, then behold Colossi of Memnon which are two enormous quartzite statues of (Pharaoh Amenhotep III) and the last remaining ruins of his entire temple. Have your lunch on an island. and keep on sailing until you reach the world’s largest house of worship ever built by man in history Karnak temple that construction of the temple began in the middle kingdom but kept on going for many generations by Pharaohs. At the end get to Luxor airport and catch your flight to Cairo and overnight at 5* hotel. 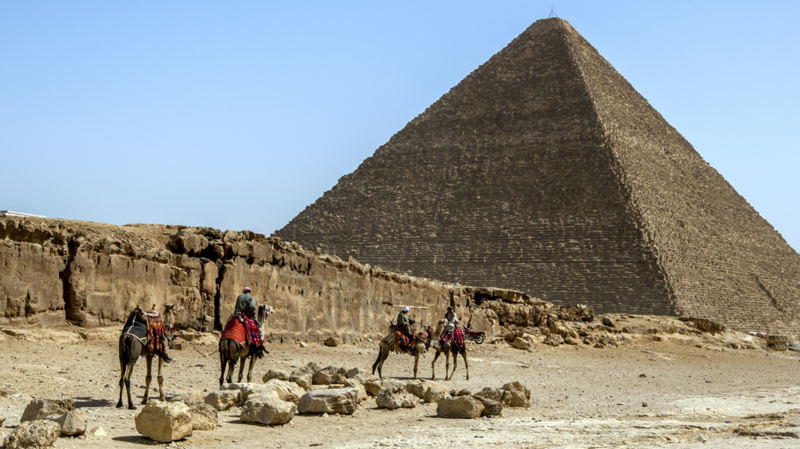 Enjoy your breakfast in the morning, then our employee will take you to the airport and help you with finalizing your departure papers and this will be the end of your 7 days Egypt tour to Cairo, Nile Cruise & Alexandria. Accommodation for 3 nights in Cairo's 5* hotel. Accommodation at 5* deluxe Nile cruise for 3 nights. All the transportation will be with private A.C car. 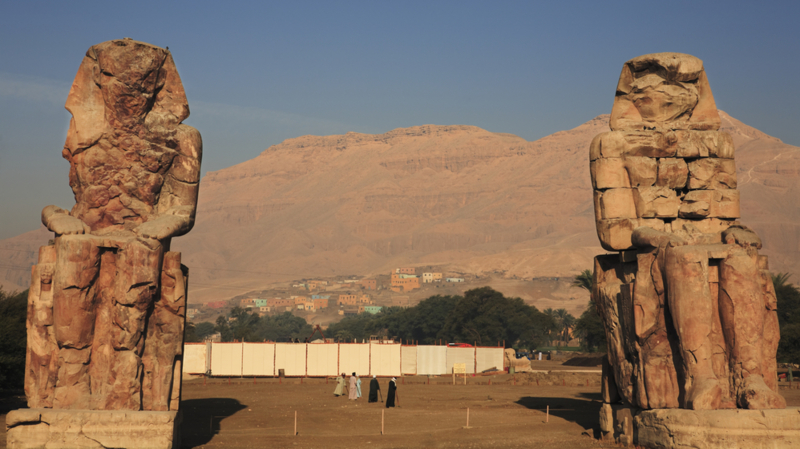 Domestic flight tickets from Cairo to Aswan and from Luxor to Cairo. All the entrance fees, service charges, and taxes are indicated in the itinerary. Tipping will out of your own pocket.